The must-haves in the homes of the super-rich go in and out of fashion. Currently, TV screens are everywhere, from the shower to the walk-in wardrobe, there are golf simulators where you can play with a real club and ball (if you don’t have time to get to an actual course), while intelligent toilets that dry you, warm you and sing to you are all the rage. And nowhere is the competition to stay on top of the trends fiercer than in the world of home entertainment. 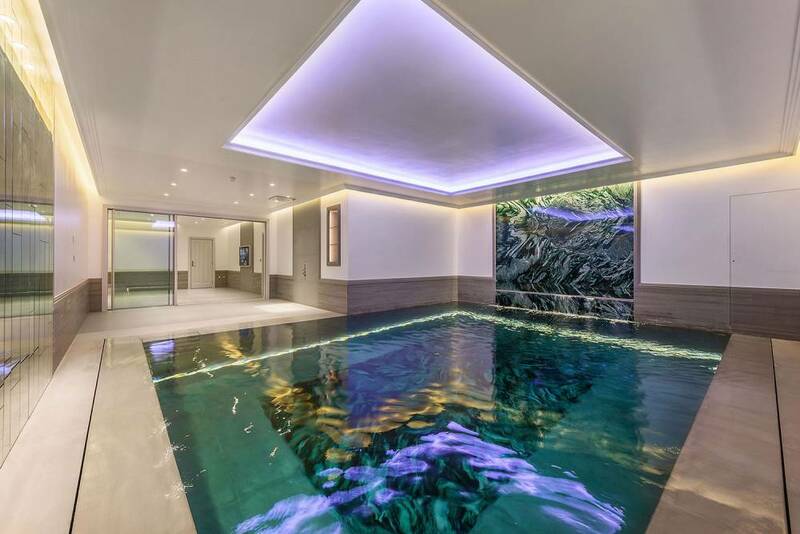 The two- or three-storey mega-basements in London’s most expensive homes are the places where the wealthy build their pleasure palaces, with gyms, spas and wine rooms now standard fare in super-prime houses. If you think ballrooms that turn into swimming pools and secret tunnel slides that transport you down to the nightclub in the basement are an urban myth, just look at some of the stock for sale in central London. 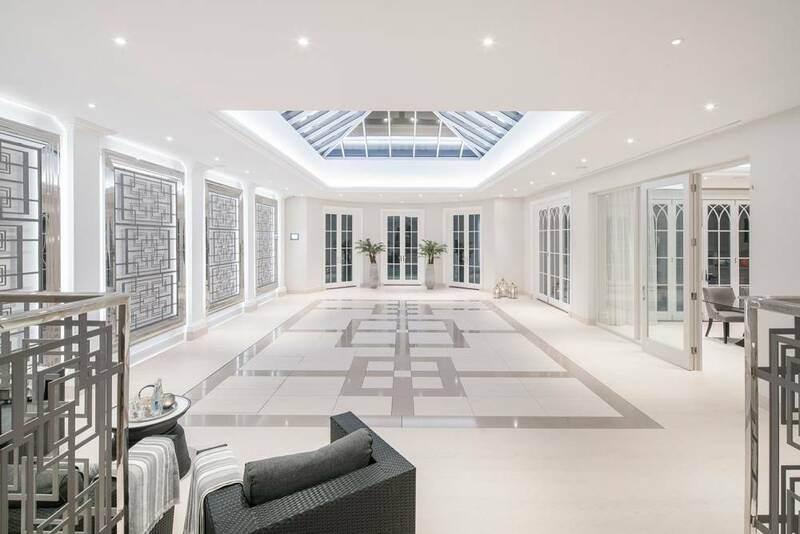 At Whitelands, a Georgian-revival mansion in Surrey, its ballroom floor can be transformed into a swimming pool in just six minutes. A similar feat of hydraulic engineering can be seen in a townhouse on Knightsbridge’s Walton Street, which is for sale at £18.5m through Strutt & Parker. From street level, this looks like a relatively normal townhouse (albeit in one of the most expensive streets in London). Below ground, at the touch of a button, a marble dance floor can become either partly or fully submerged and within eight minutes it’s ready for you to dive in. Among the Luxury London developments he is marketing is Chelsea Island, where apartments come with voice-activation technology. 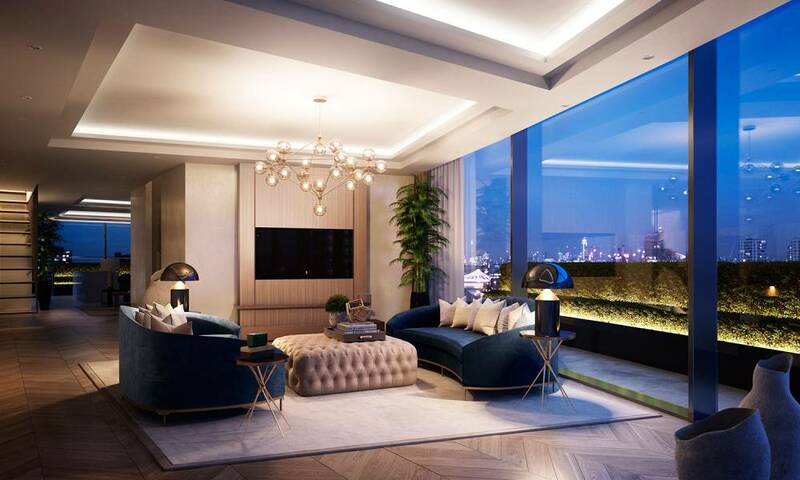 “Buyers will simply have to say ‘movie night’ and the curtains will close, the lights will dim and the TV and audio system will switch to cinema function. 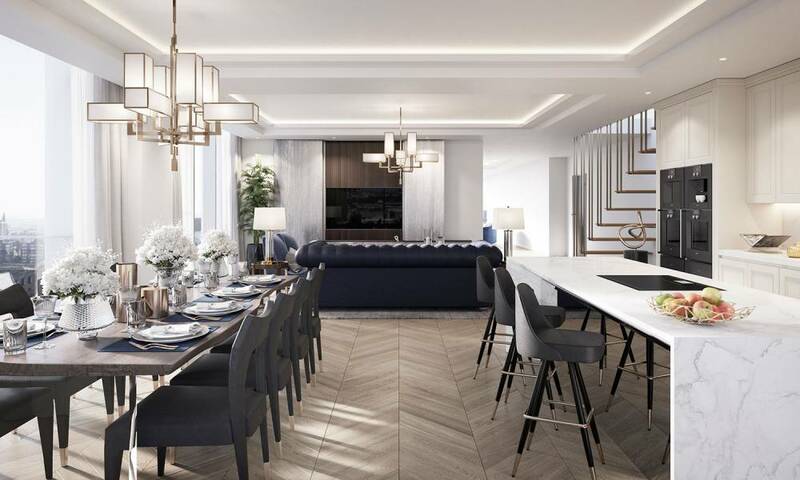 It’s all about providing the gateway for residents to interact with their homes in new and innovative ways,” says James Taylor of Hadley Property Group, the developers of Chelsea Island. Its £11.995m penthouse comes with the added perk of Bang & Olufsen BeoLab 90 Ultimate loudspeakers, which start at US$84,000 (£67,000). 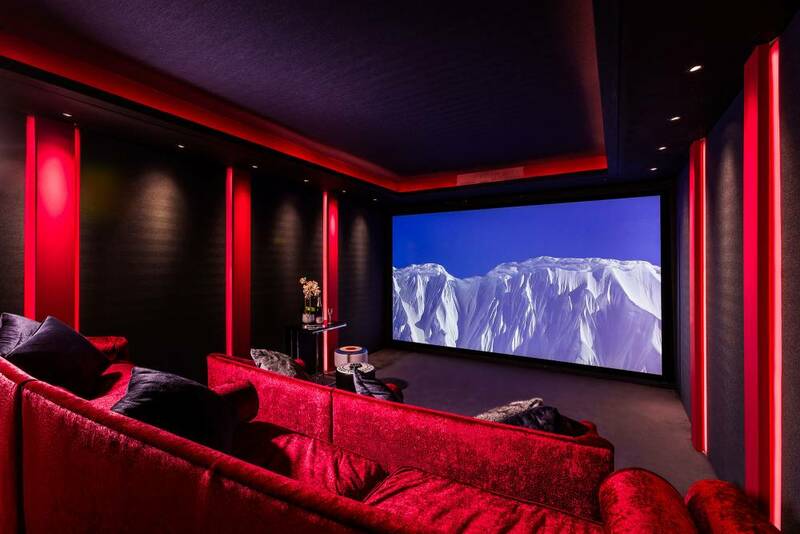 You can’t view a super-prime home in London these days without stumbling across a home cinema. They are invariably sumptuous sanctuaries, with bespoke day beds and cocktail bars. 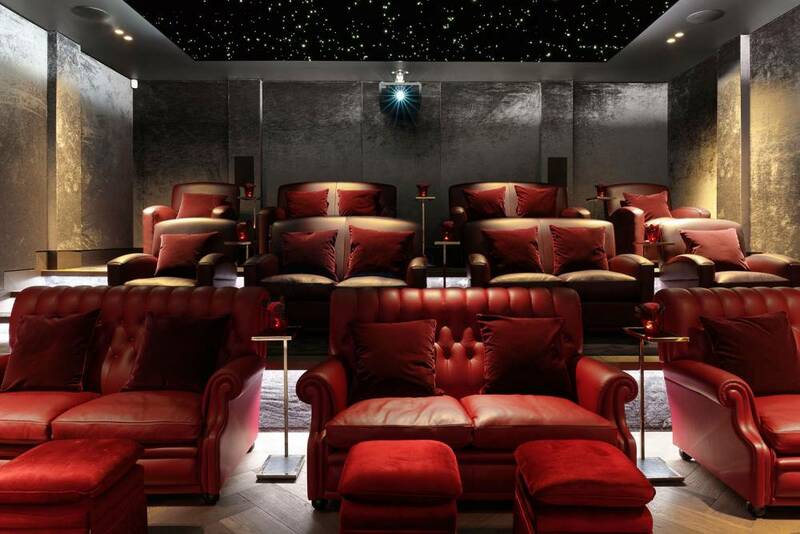 But technology-wise, there is nothing quite like the one that can be seen in a basement in London’s Fitzrovia, which its creators, the tech company Cornflake, claim is the best home cinema this side of Hollywood. “It takes home cinemas to the level of professional cinemas,” says Cornflake’s design director, Phillip Hine. “With Meyer speakers available for residential use for the first time, giving optimal audio quality, you can see films the way Hollywood producers and directors intended them — and there’s nothing else like this in Europe.” For around £230,000, which includes £120,000 Meyer speakers, a £30,000 Trinnov processor, a £16,000 screen and a £35,000 JVC Z1 projector (“the only native 4K laser source that isn’t the size of a car,” says Hine), plus all the cabling and acoustically treated décor, you too can have a cinema like this. Until now, says Hine, the sound in home cinemas has never matched the quality of vision. This cinema, with its two sub-woofers and nine surround-sound speakers, comes with fully immersive 3D sound — think booming walls, shaking floor and the instinct to duck when a helicopter flies over head — and the latest ultra-high definition, 4K vision that is so razor sharp, your eyes alight on a flyaway strand of Scarlett Johansson’s hair; when Ed Sheeran looks out on a screaming crowd of 60,000, you think you are with him on the stage; and as adrenalin junkie skiers hurtle down a sheer rock face, you see the glint of individual crystals in the snow. Cornflake is “brand agnostic”, says Hine; it just designs the best for its wealthy clientele, which includes various celebrities and royalty (but not footballers — they want a turnkey home, rather than waiting 18 months, which is how long a technological overhaul of a home at this level can take). Such clients need to do their entertaining at home, privacy being a requisite. “Very few of our clients are tech savvy, but they expect their technology to work every time,” says Hine, who monitors clients’ systems 24-hours a day, wherever they are in the world. Such technology is undoubtedly a status symbol and a huge source of fun — one of Hine’s clients is currently installing the first home IMAX cinema, costing around £400,000. Whether you will ever recoup such expenditure is another question. “A £300,000 cinema in a residential property is slightly whacky, really, but it’s a bit of badge snobbery. It’s impossible to quantify how much value it would add, but it would make your property a special purchase,” says James Carter-Brown of Knight Frank, who deals with many ultra-high-net-worth clients, of all ages, turning their homes hi-tech. Such homes now come with a room that didn’t exist 10 years ago — the plant room, packed with enough hardware to service a space station. And that tech works hard behind the scenes because invisibility is crucial. “The best technology should be hidden from view,” says Phillip Hine, whose every light fitting has an IP address and each speaker is buried behind the plaster (which gives the odd illusion of singing walls). The snag with having the latest technology is that soon it becomes the last technology. “I would be terrified about spending huge amounts because tomorrow something better will come along. Technology changes so fast that why not just buy a good quality Sonos sound system, a wireless sub-woofer and a large telly? Wireless plug and play has to be the thing,” says Knight Frank’s James Carter-Brown. Welcome to the wireless, hi-tech house of the future. Just don’t forget where you put the iPad.